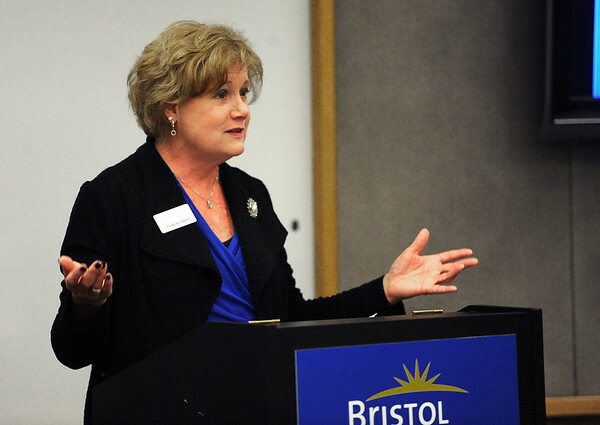 BRISTOL - The Staffing Management Association and the Bristol Chamber of Commerce are holding a “School to Work” panel discussion on Feb. 14 aimed to help human resources managers learn strategies for identifying and developing talent through community and school partnerships. The meeting will be held from 7:30 to 9:30 a.m. at Yarde Metals, 45 Newell St., Southington. Registration will be from 7:30 to 8 a.m. and a continental breakfast will be offered. The presentation will be from 8 a.m. to 9:30 a.m., followed by a question-and-answer session. Panel members will include Cindy Bombard, president and CEO of the Central Connecticut Chambers of Commerce; Betty DaCruz, chief financial officer of DaCruz Manufacturing and chairwoman of the Bristol Technical Advisory Committee; Tracy Ariel, executive director of Tunxis Community College (Bristol Campus) and College Career Pathways; and Larry Covino, supervisor of Adult Education and and Bristol Preparatory Academy as well as president of the Connecticut Association of Adult and Continuing Education and an Executive Committee member of the Bristol Technical Advisory Committee. The discussion will be moderated by SMA immediate Past President and current Vice President of Sponsorships Mike Mueller, VP, Human Resources at U.S. Electrical Services. Lisa Sands of Kelly Services said this is the first time that SMA has organized this panel. Sands said building community and school partnerships is critical for the acquisition of future talent. She said attendees will learn how to work in concert with technical schools and industry leaders and recruiting best practices in advanced manufacturing and technology sectors. Bombard said that there are issues in finding a talented workforce throughout the region. Kelly Services, she said, stepped up six years ago to be part of the Bristol Technical Advisory Council and help address those issues. Bombard added that she has learned through working with the Bristol Technical Advisory Council the important role that staffing companies such as Kelly Services can play. The panel discussion is open to the public. Admission is $25 for SMA chapter members and $35 for guests and $20 for SMA members in transition. Posted in New Britain Herald, General News, Southington Herald on Tuesday, 5 February 2019 19:38. Updated: Tuesday, 5 February 2019 19:41.